At Visionclean we introduced our eco-clean service, because we believe that not only is green cleaning good for the environment, but is also better for the health of our offices/schools/health centres and homes. 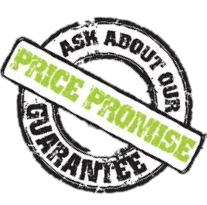 Over the last nine years we have developed a business strong enough in the commercial cleaning sector to now be able to invest the time and money needed to develop and roll out a true eco-friendly cleaning service available at an affordable cost to all businesses out of small and even to domestic households. Having now spent the time researching cleaning methods and products that clean effectively while having environmentally friendly ingredients we have been able to roll out this new Service to existing and potential new customers. Improved standards of health in your organisation – our teams of cleaners are knowledgeable regarding advanced cleaning techniques and use of equipment which help reduce dust, bacteria, pollen, mould and other allergens. Using these techniques and equipment may improve the overall indoor air quality and minimise risk from excess exposure to residual chemicals for those who suffer from asthma, Hayfever, sinusitis, and other allergies that can increase absence. Minimising the environmental impact – the use of the highest quality environmentally friendly chemicals not only reduce health risks, but reduced packaging waste minimise water usage and avoid the introduction duction of harmful chemical components to the water system and atmosphere. 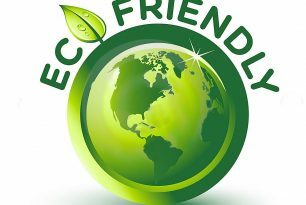 Economic benefits – most people associate environmentally friendly cleaning services with additional cost. We believe that most people would be surprised at how cost efficient it is to implement eco-cleaning and also there are other potential economic benefits to businesses/organisations brought forward by the possible improved environment reducing the levels of absence but done by communicable infections. Also the recycling and use of eco-waste disposal can also reduce costs on most premises. With our eco-clean service we regularly audit our customers premises to valuate place to improve the effect of eco-cleaning. Here are some of the examples of areas of concern that we have identified and try and work with organisations to manage to improve safety. After a number of years of concerns over how the chemicals we use to clean and after talking to customers, we decided to take the first big steps to becoming an environmentally friendly cleaning company. Finding a good cleaning service can be difficult and, after problems with the cleaning of our offices, Vision Clean were recommended to me. We have been using them for 18 months and have been very pleased with the service they have provided. We have occasionally asked for additional areas to be cleaned on a one-off basis and they have always undertaken these quickly and efficiently to our satisfaction. If and when issues arise, they are dealt with very swiftly. I wouldn’t hesitate to recommend them. 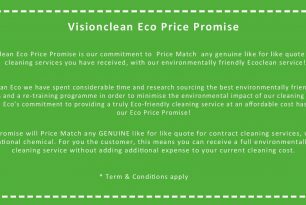 COMING SOON: The Visionclean ECO PRICE PROMISE!